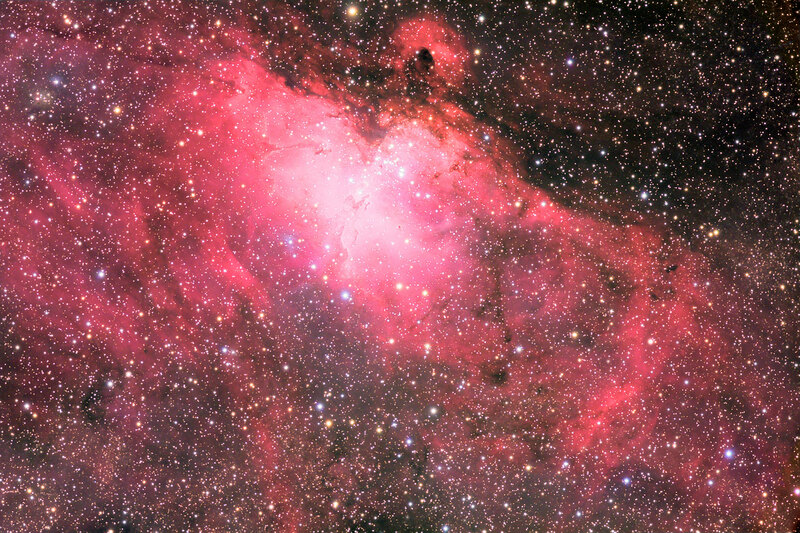 Description Messier 16, the Eagle nebula, is a beautiful emission nebula featuring a star forming region with columns made famous by the Hubble Telescope images. It was discovered by Messier in 1764 and lies about 8000 light years from earth. M 16 is a good example of the association of emission nebulosity with a cluster of young, hot O- and B-type stars. Click on the above image for a higher resolution rendering. There is also a close-up in the light of hydrogen alpha here.